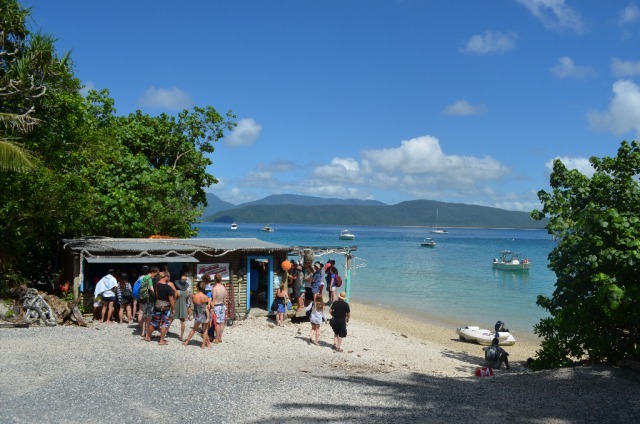 Fitzroy Island is only 45 minutes from Cairns and is one of the most unspoilt islands on the Great Barrier Reef. 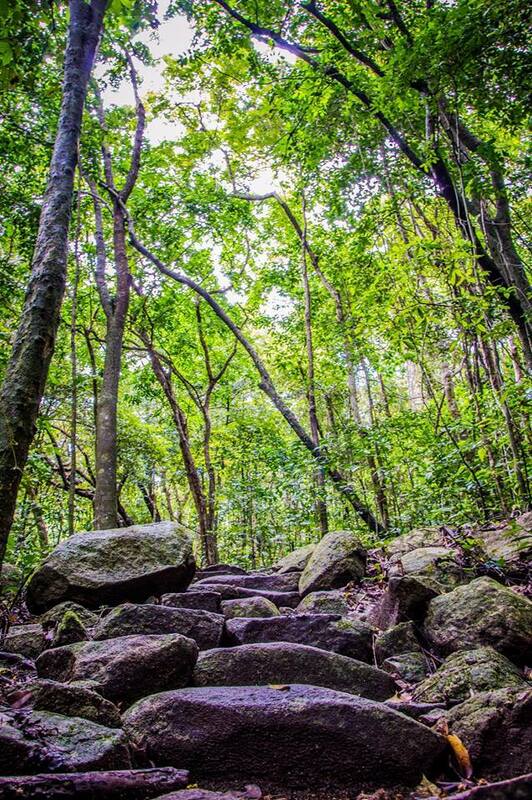 Being a continental island, it is covered with lush, pristine rainforest. 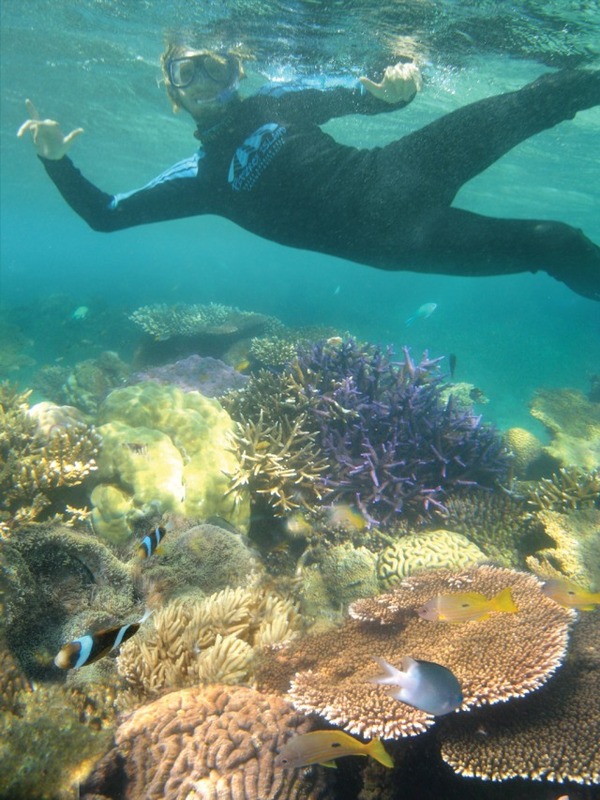 Getting wet and exploring the coral reef surrounding the island, where tropical fish present a rainbow of colour, is as easy as stepping off the beach. Bird life also abounds here, presenting a natural showcase not to be missed. 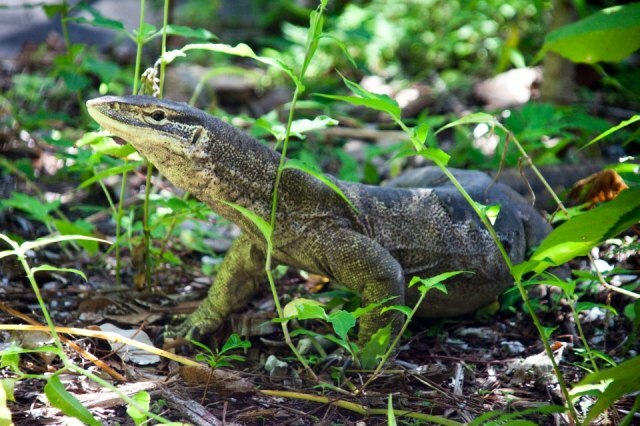 If you want to explore an idyllic, unspoilt tropical paradise, your choices are plentiful with a day tour to Fitzroy Island. Lycra suits are included in Activity Pass bookings. The Beach hire hut has noodles as a safety measure provided free to Raging Thunder guests. Wetsuits are available for hire with Size 6 being the smallest size. 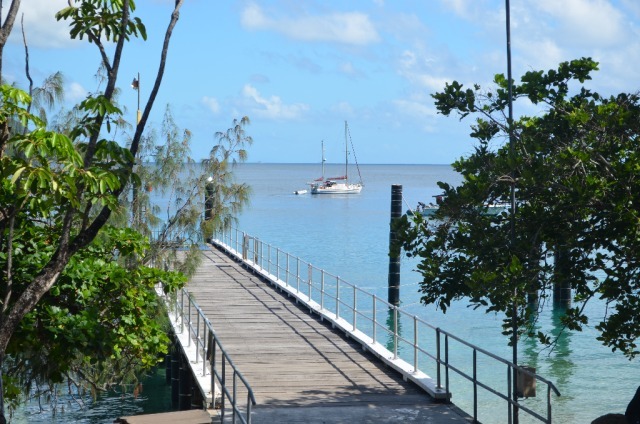 Departs Cairns at 9am & 11am. 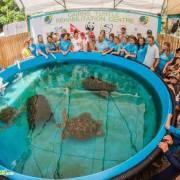 Check-in 8:15am & 10:15am inside the Reef Fleet Terminal at the Raging Thunder counter. 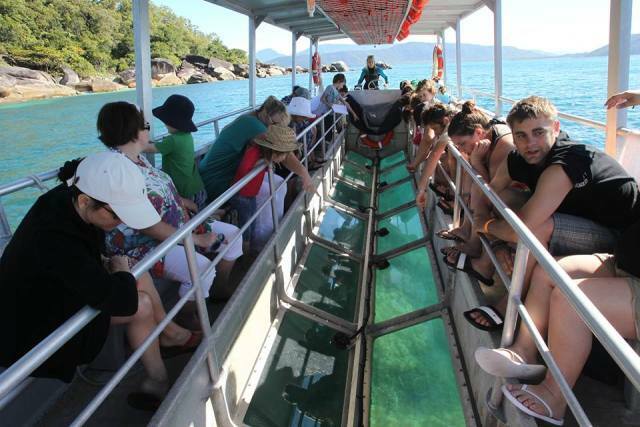 Glass Bottom Boat Book a time with Raging Thunder Beach hire when you get to the island. Subject to minimum numbers and weather. 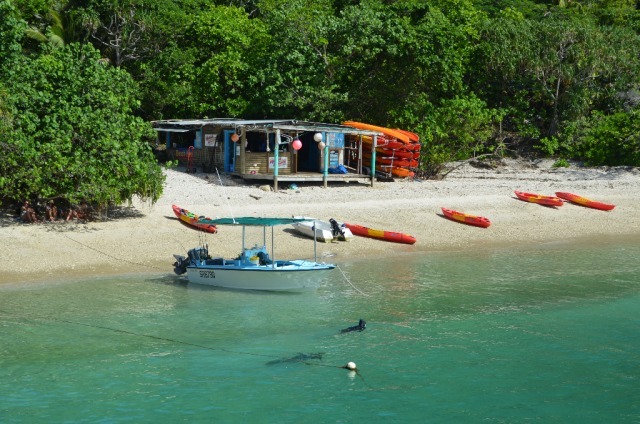 Snorkel Gear is full day hire and includes mask, snorkel, fins and stinger suit. A deposit is required. 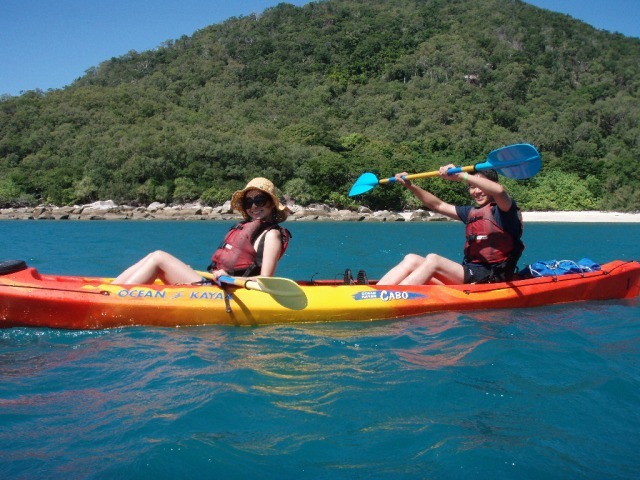 Sea Kayaking tours are an additional cost. 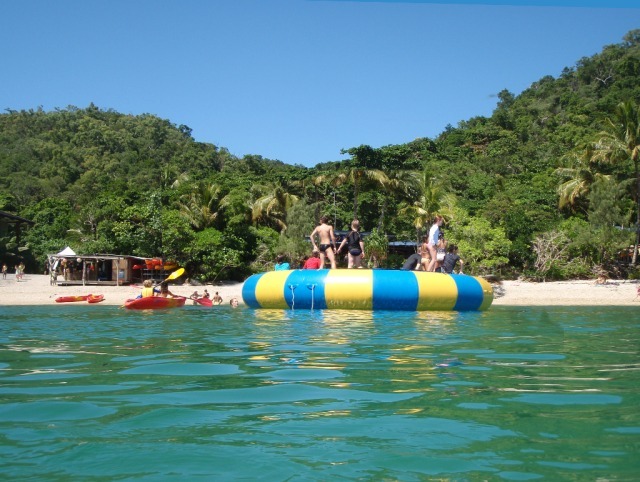 Run by Raging Thunder this extremely popular activity is a great way to explore the island. 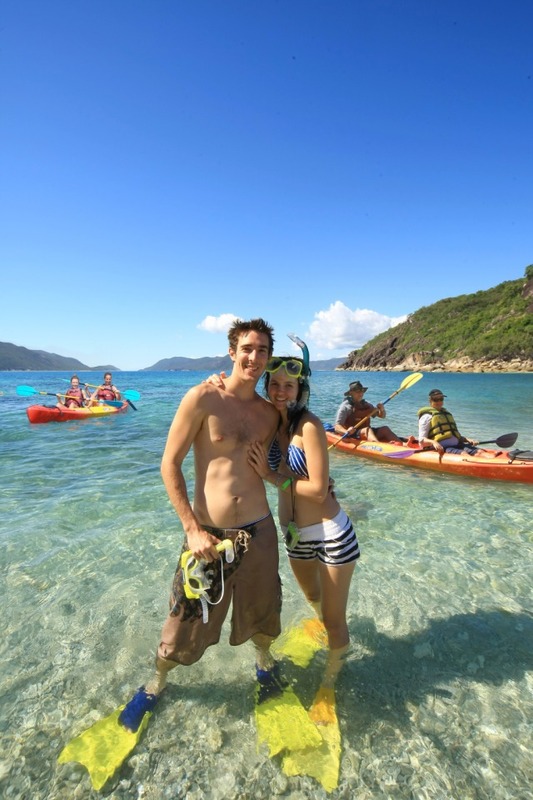 Visit beaches only accessible by kayak. 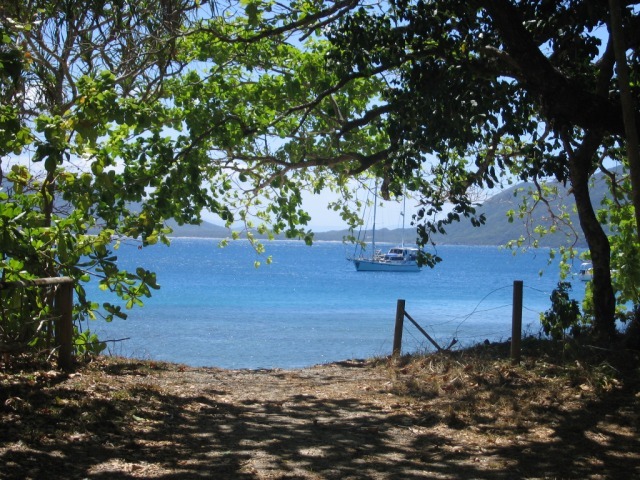 Pack some refreshments and take your time to really enjoy the island on the walking tracks. There is a track up to the lighthouse which is relatively easy. The view from the summit at 260m is breathtaking. Students Please Note: Raging Thunder does not accept children or teenagers 15 years or younger travelling without adult supervision. Great day with the whole family. A lot of fun with all activities without waiting time. 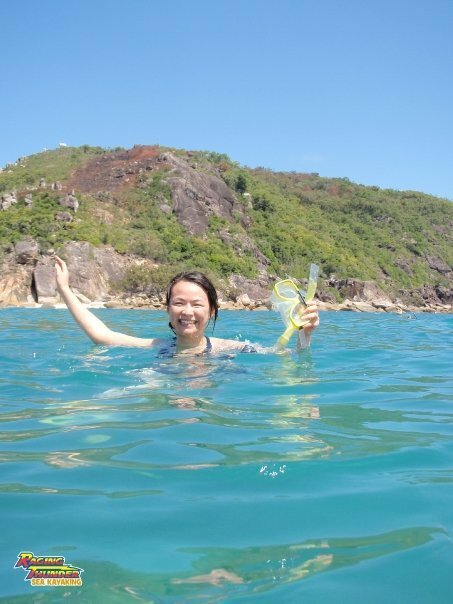 the island was great, the snorkelling was great. 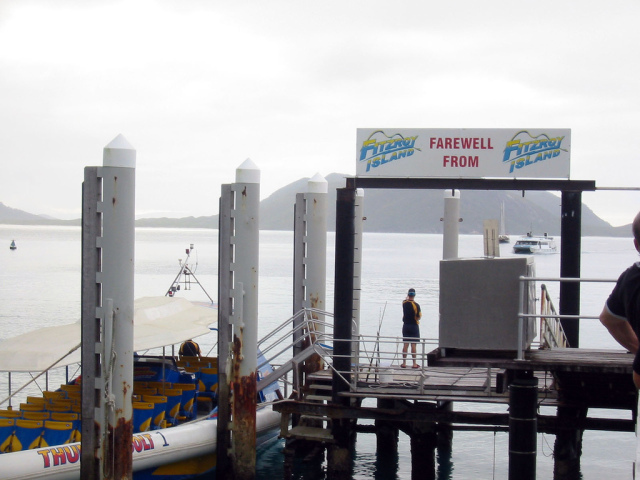 the glass bottom boat was a bit of a disappointment but apparently conditions had roughed up the water. The walks were very pleasant and food was fine too. the boat was a little rough on the way out and this apparently is not uncommon. 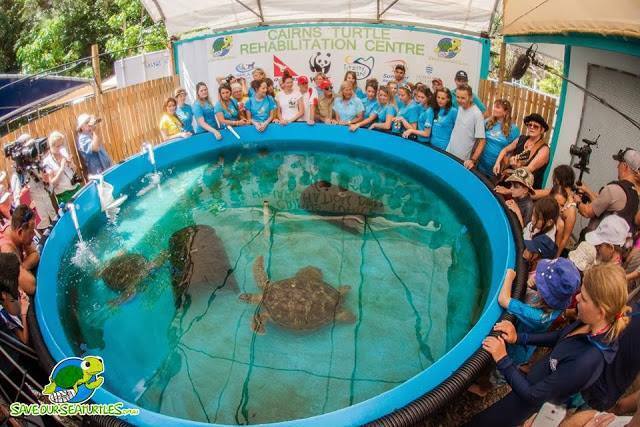 The Fitzroy island tour was a perfect getaway , with Kids enjoying the snorkelling and The Tortoise rehab center tour. 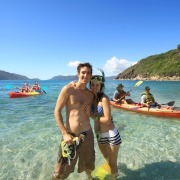 Soren - the snorkelling instructor was just amazing and made our day. Had a great time. Staff very passionate about the environment which is important to us. Highly recommended. 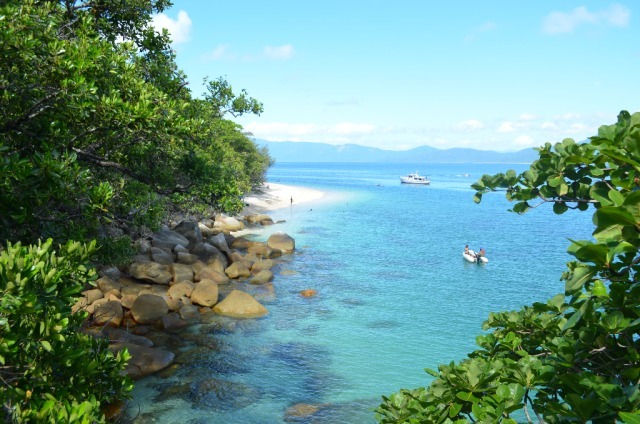 Fitzroy Island looked just like it did in the photos! It was amazing and there was so much to do with the activity pass which kept me and my girlfriend busy all day. It was an incredible experience which I can highly recommend. 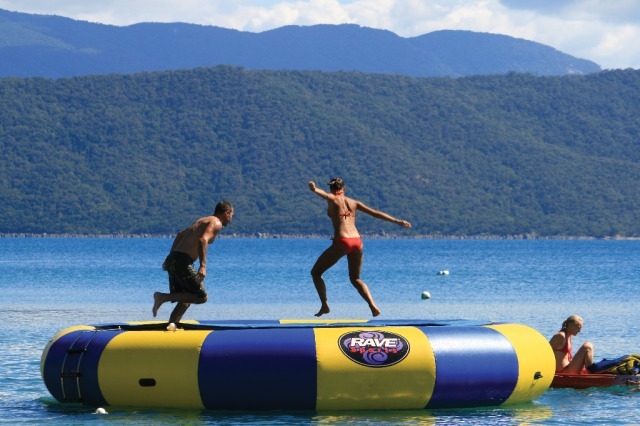 A must do activity in Cairns! We had a wonderful day, staff were fantastic. Very kid friendly. I would defiantly recommend this experience. Great day out for all the family. Great day out for all the family. Super friendly local staff made it even more enjoyable. Staff were wonderful, friendly & informative. 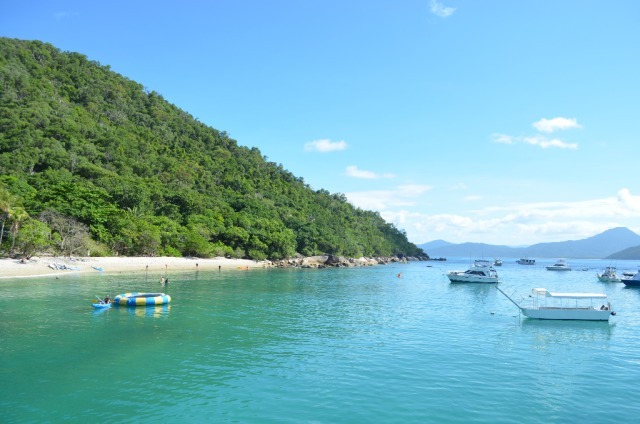 The ferry trip, mountain climb, snorkelling, ocean trampoline, glass bottom boat & picnic lunch were arranged with little fuss and military precision. 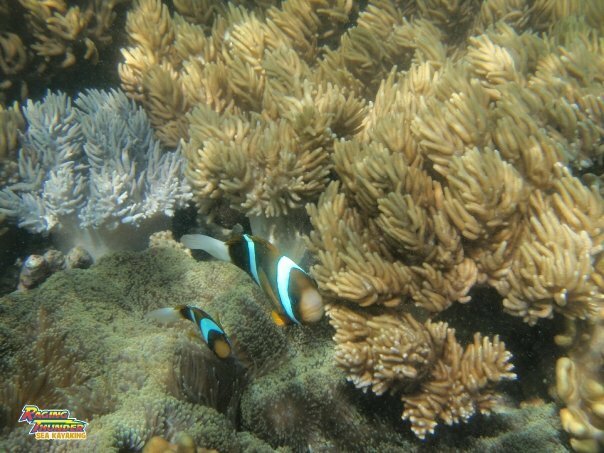 Another world on the reef! Great day out! 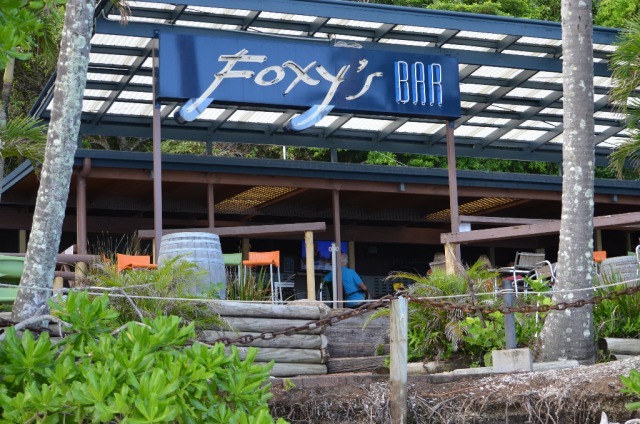 Excellent, friendly and professional staff. Thank you. Was an amazing day on an amazing Island. Staff were fantastic. Would recommend this activity pass. I really loved the experience. .. staff were fantastic and the excursion breathtaking. What a beautiful Island totally unspoilt lots to do we took a glass bottom boat ride out on the reef swam and snorkelled in the warm blue Coral sea visited the turtle rehabilitation centre and learned about the poor turtles who get injured by boats very sad but a happy ending when they are released again! It was paradise we did not want to leave! 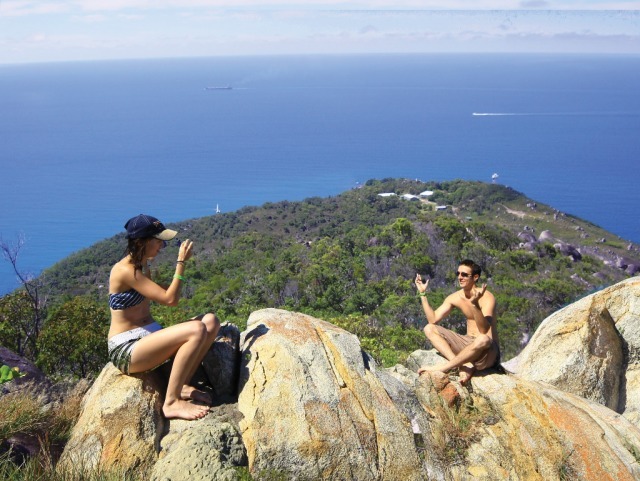 A definite must do when staying in Cairns.